Bright colors, vivid fauna, rare vistas and the deep blue waters are artistic wonders of the ocean. With over 95 percent of the world’s oceans still unexplored, photographers have found a newer and more challenging underwater haven to represent. They tap into oceanic lives and bring fresher insight into the bioprocesses and beauty present in the Earth’s water bodies. Followers of the bold and dangerous that swim these waters and capture their essence find visual treats of the underworld in their raw, pristine ecosystem, all on their news feed. The Instagram elite of India’s top underwater photographers showcase mysteries and treasures of our planet, providing us with the ideal lens to discover this world. 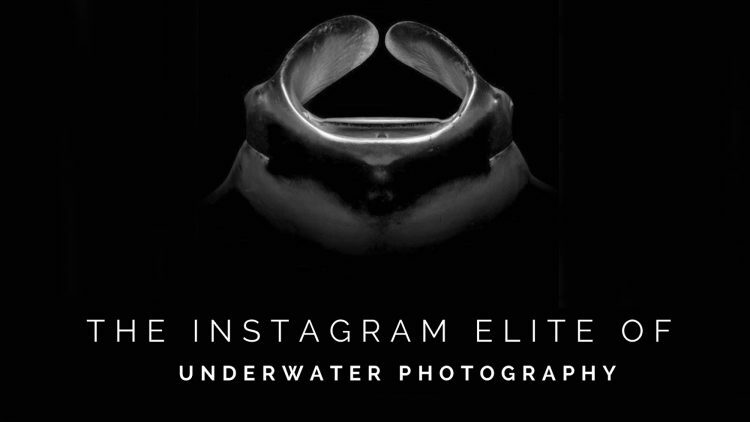 For aquatic inspiration, here are some of the best underwater photographers to follow on Instagram. From swimming with sharks to diving with cuttlefish, Verma’s profile transports you into the heart of the wonder. Visit the oceans of Bali, Malaysia, Goa, the Andamans, Hungary and numerous other places rich in sea creatures, coral reefs and endemic species. With more than over 50 shades of blue alone, his work captures barracuda fish, whale sharks, box fish, porcelain crabs, ghost pipefish, blue spotted sting rays and the most adorable swimming elephants. Master at capturing rare sea animals up close and personal, Desai’s photography is a unique insight to the details and patterns of the ocean. Amber seahorses, cheery Blennies, striped circus clown fishes and hypnotizing angelfishes stare at you through his profile. A true exploration of the color palette, his pictures also come with a detailed explanation of the animal, its behavior and history for avid sea lovers. From the expanse of Serengeti and topography of Pereybere to the coral reefs of Mauritius and humpback whales in Iceland, beauty is captured in Mistry’s profile. A mélange of land, air and sea creatures, shot in global prime spots of rare flora and fauna are seen in their element. Fit for a NatGeo photographer, his travels and unique eye for the story behind each creature makes his viewers wanderlust for adventure. A fun and enjoyable platform that underscores the human bond with nature, Anup’s profile is a symbiosis of our lives with Mother Earth’s. With pictures of vibrant schools of fish, spotted turtles and zippy Clown Jelly Fishes to solo manta rays, predator sharks and ship wrecks, his work plays on human emotions, making his stories new and fetching. Sharks dominate this daring profile, with images of zebra sharks, lemon sharks, nurse sharks, silky sharks, tiger sharks and myriad other magnificent beasts. Juxtaposed with endearing boxfishes and intricate coral, his work represents a wholesome underwater journey that will leave you longing for a deeper dive. In exploring scuba diving and underwater photography in India, there is inspiration to be drawn in many places, from many people. Surrounded by water on three sides, the country’s coasts offer unending room for adventurous dives and stunning photography. For anyone waiting to go out there and explore their possibilities, the work of these photographers epitomizes the danger and hard work of underwater photography. But most of all, it epitomizes passion, dedication and true humility in the face of nature and its creatures. Experience TheVibe: Watch Etoile Smulders dive with the whale sharks in Komodo.